Since I'm almost 100% sure that I'm part Christmas elf, I pretty much LOVE all things Christmas related. Let's just make the whole world festive this time of year, okay? All the twinkling lights, the Christmas music, the smells of fresh evergreen and holiday candles, baking cookies, and decorating the tree, Holiday movies playing on the Hallmark channel, Christmas family pajamas... it's all just my most favorite. So of course there's some holiday related things I'm loving this year that I have to share with you, I just can't keep all the goodness to myself! I recently came across this ornament from Goldie Letter Co. and loved how simple and unique it was. 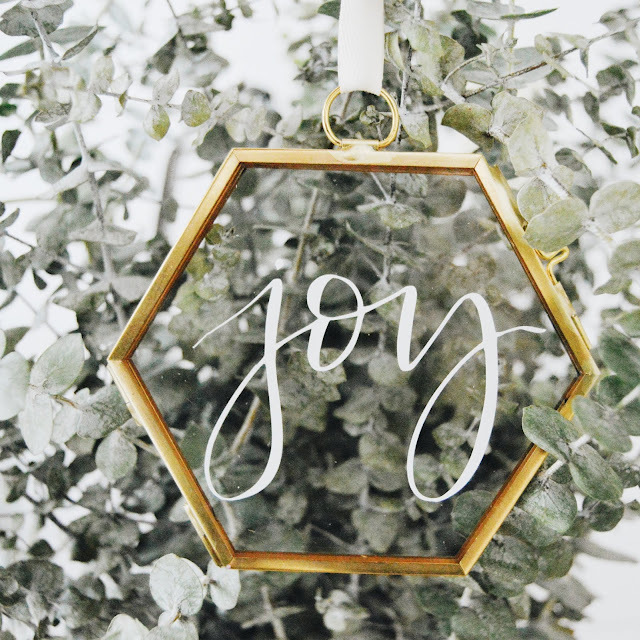 I just love the honeycomb/hexagon shape which is absolutely perfect for our simple minimalist-ish tree. How pretty is it that you can leave it empty to just enjoy the simplicity, or you can add a family photo, or you can even add a small piece of greenery in if you'd like. You can also have it completely personalized! 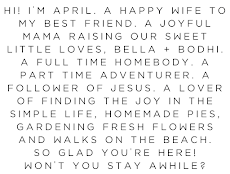 You can add your family name, choose a lovely word that has meaning to you (I chose the word "Joy") or anything you'd like! So many adorable holiday items over at Goldie Letter Co. that I'm pretty sure you're gonna need, like this "4 main food groups" mug that I'm obsessed with, Elf is probably my all time favorite Christmas movie so this mug is pretty much perfect! I don't typically burn candles a lot during the rest of the year, but candles are a forever favorite around the holidays, the scent of Christmas. You know that smell that instantly brings back childhood memories? That's what it was like for me when Jill & James Candle Co. recently sent some hand poured natural soy candles our way and I smelled "Holiday Hearth". Instantly I was transported back to the holiday seasons from my childhood and the home I grew up in. Surrounded by my Dad and Mom, my older brother and 3 little sisters. Helping haul in firewood for the old wood cook-stove, a simmering pot of homemade holiday potpourri on the wood stove filling the home with the best aroma, a cold nose and hands from standing in my Dad's work shed for 2 hours hand crafting an evergreen wreath for the front door, hanging Christmas lights with my siblings, running to the mailbox to see if the rural mail carrier had brought us any new Christmas cards, and spending time around the table eating and laughing with my family. It's amazing how one sniff of a candle can bring back so much. 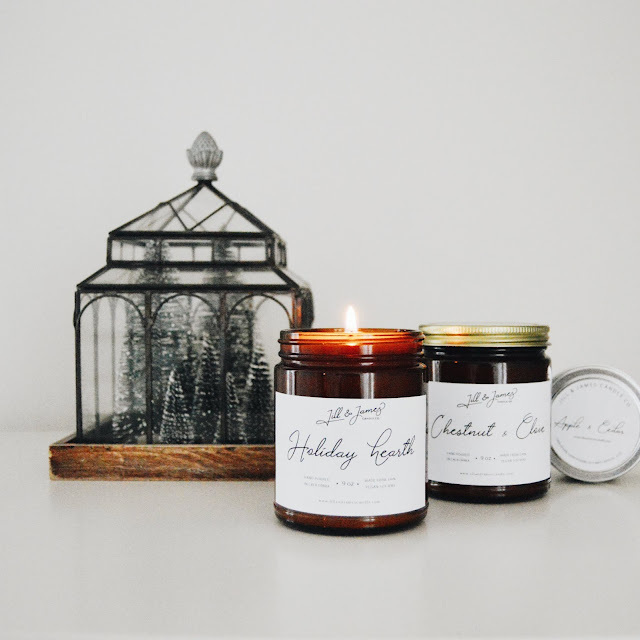 Grab all the best holiday scents (including these apple and cedar, and chestnut and clove candles) over at Jill and James Candle Co.! 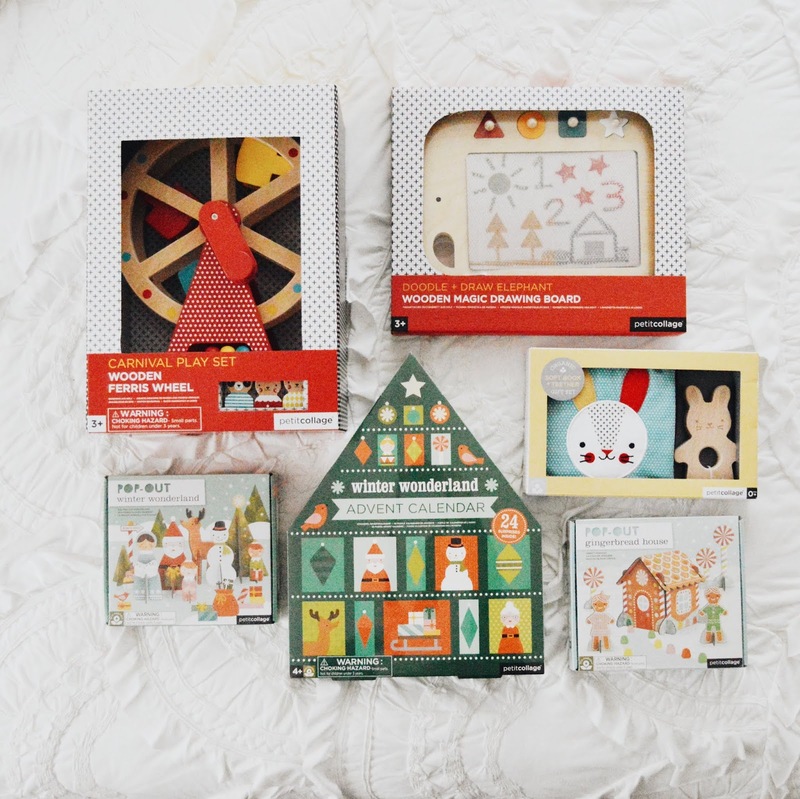 We've been huge fans of Petit Collage for the past several years and are still loving all of their sweet items for children! All of their toys are eco-friendly and certified ethically made. Founded by a woman immigrant, Lorena Siminovich, each toy is as pretty displayed on a shelf as it is on the floor when your child is playing with it.Their wooden puzzles are our absolute favorite (we have this one and Bella is still obsessed after 2 years) so I of course wanted to add a few more items to our collection and especially to have a few fun things for the holidays! Those cardboard pop out and play figures are so much fun, Bella gets hours of play at a time out of them and they're such high quality I'll be able to store them away after the holiday season and bring them out again year after year! I chose this gingerbread house set, this winter wonderland set, and just fell in love with this winter wonderland advent calendar as well! I've always wanted to get Bella a fun and interactive advent calendar so this one will be perfect! Also, we had a trace and erase board for Bella a few years ago, and while she loved it, it was also made of plastic so of course didn't last very long before it broke and quite working. We've been wanting to get her another one, but finding the right one that would last longer than the other one, was a bit more difficult than I imagined, so of course you can probably imagine my excitement when I found out that Petit Collage just released a wooden one! She is going to be so thrilled when she finds this under the tree on Christmas morning and I cant wait. it's simply perfect for traveling, and moments when you need a minute of quiet but don't feel like cleaning up the mess of real art supplies afterwards and definitely don't want to set the kiddo down in front of the TV again, this is the perfect solution! Also, how ADORABLE is this soft book and wooden teether for baby boy AND that wooden ferris wheel toy?! I simply cannot handle the cuteness. Use code JOYFULTRIBE15 for 15% off your order too! Frank is always jotting down notes to remember things and keep himself organized, making grocery lists and writing our the bills, so when I came across this notebook/journal from the shop And So They Wrote one day on etsy, I knew it would make the perfect gift for him. He can keep all his notes in one place, organized and tidy now! My favorite part of this little book, it that I was able to completely personalize it for him! The color of the outside (isn't that sage green color just the prettiest? ), lined paper or no lines on the paper (I chose lined for him), the design on front and even the wording! 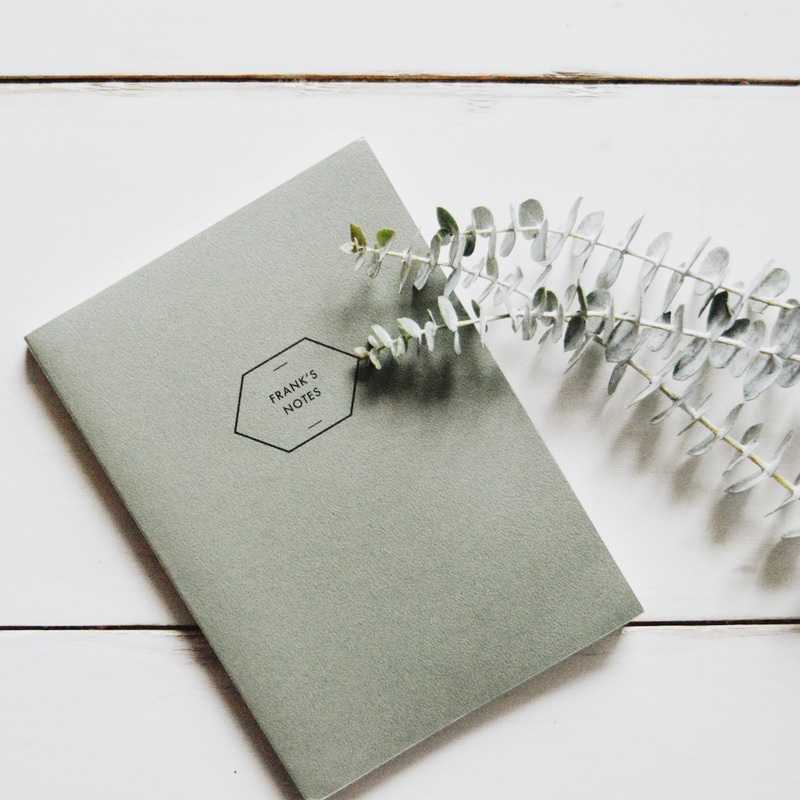 And so they wrote has so many options to choose from so grab yourself a journal or two, and maybe grab a few to gift too! Who says you can't wear white after labor day? 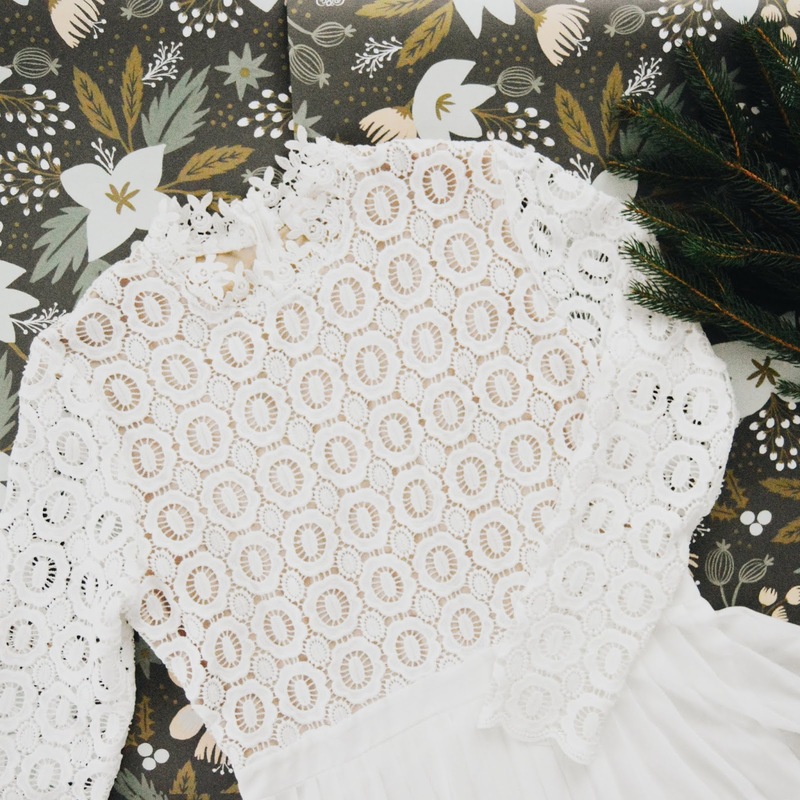 This beautiful "Arabella" dress in white (I mean, it's seriously exquisite you guys, even better in person) from Ivy City Co. would be beautiful for photos against a background of evergreen and snow, don't you think? We're doing an indoor family/newborn photo session with our amazing photographer (Livi Photos) right after baby boy is born and I can't wait to wear this for our photos. It's going to be absolutely perfect! Use code JOY15 for 15% off your purchase when grabbing all the prettiest dresses from Ivy City Co.! One of my most favorite and go-to items to gift to Bella are art supplies. I love them because not only to they get her creativity and imagination flowing when she sits down with crayons or paints and paper, but the other reason why I think they're some of the best gifts, is because we like to keep things minimal rather than overcrowding our home with things that won't get played with or that we'll get frustrated with because we have too much stuff always underfoot, and the good thing about art supplies is that they're so much fun, but they also get used up rather quickly and then you don't have "stuff" and toys just strewn about everywhere. 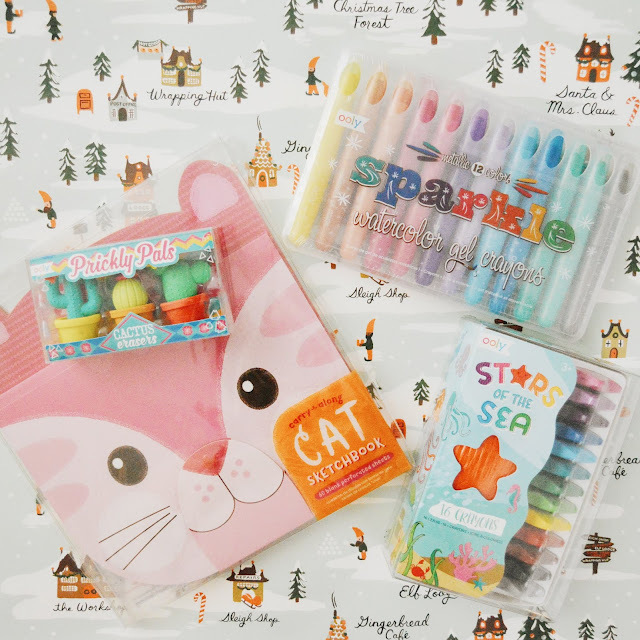 Ooly of course is one of our most favorite and loved brands for our art supplies and I can't wait to fill Bella's sticking up with some of these goodies! These star shaped crayons are ones we've loved for a couple years and there's not much left to ours, so a new set came at just the perfect time! And I can't wait for her to try out these sparkle watercolor gel crayons, paint sets (this one and this one), and the most adorable carry along sketchbook! Oh, and can you even handle how adorable those little cactus erasers and panda sticky notes are? Because I can't. In this day and age of digital and online everything, it's difficult to remember to print photos sometimes, but I've learned over the past couple of years... it's literally so important to not only back up your photos, but especially to print off physical copies of them as well. 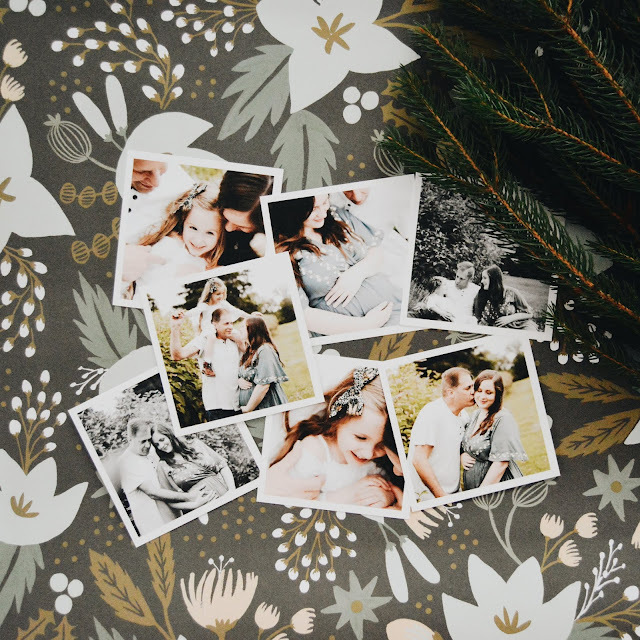 That's why I love Parabo Press so much, they make it so easy to print off my photos, and with each order, you can get 25 free square prints too! As most of you know, we had a family photo session this past summer right after we found out we were expecting a baby boy! Our photographer even got to capture our reactions to finding out we were expecting a boy and it was just priceless. So of course I wanted to get them printed so we'd have them forever, even if something ever happened to our computers we'd still have them. I printed off every single photo from that photo session (almost 200) and I couldn't be happier that I did. They all printed so beautifully and I love being able to pull these sweet square prints out and look at them. I also recently took a look at all of the fun photo accessories that Parabo has and of course ended up adding a few more items to my order! These wooden photo holders are perfect for our nightstands or on a shelf and this go-getter box is so fun and makes the most perfect gift! Oh, make sure to use my code APRIL for 30% off any of your Parabo Press orders from now until December 13th! Christmas ornaments are one of my favorite things, just so festive and I love that they can have such sentimental meaning too! Like these from Susabella! 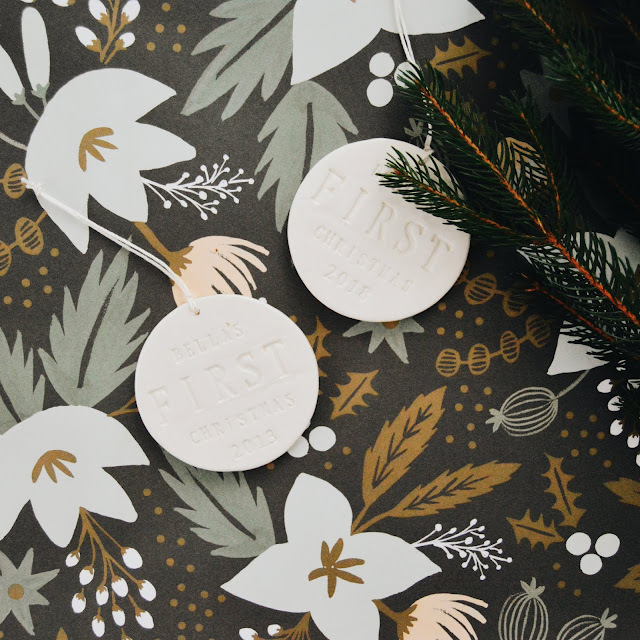 I was searching for the perfect baby's first Christmas ornament on etsy when I found this one, because I wasn't loving all of the pink or blue options I was finding in the stores, I wanted something simple, something minimal, and something classic that would never go out of style. I immediately knew this was "the one" when I spied it, and kept dreaming of getting it for our new baby boy, and of course Bella needed a matching one too since we've never really had a formal baby's first Christmas ornament for her. When they arrived I might have teared up just a little, I mean, I'm about to have TWO babies! And it's just the absolute best feeling on earth, to be a mama to my little girl and this sweet boy still growing in my belly who will be arriving soon. I love that these ornaments are handmade, which makes them even that much more special, knowing someone hand crafted these with time and love. Susabella also offers beautiful ornaments to celebrate any occasion or to honor the memory of a loved one, I can't wait to add more of her ornaments to our ornament collection with each special occasion in our future! I'm all about everything cozy during the winter months, and since Bella is old enough that she's starting to protest wearing bonnets, I started looking for the cutest knit hats I could find to keep her little head and ears warm. 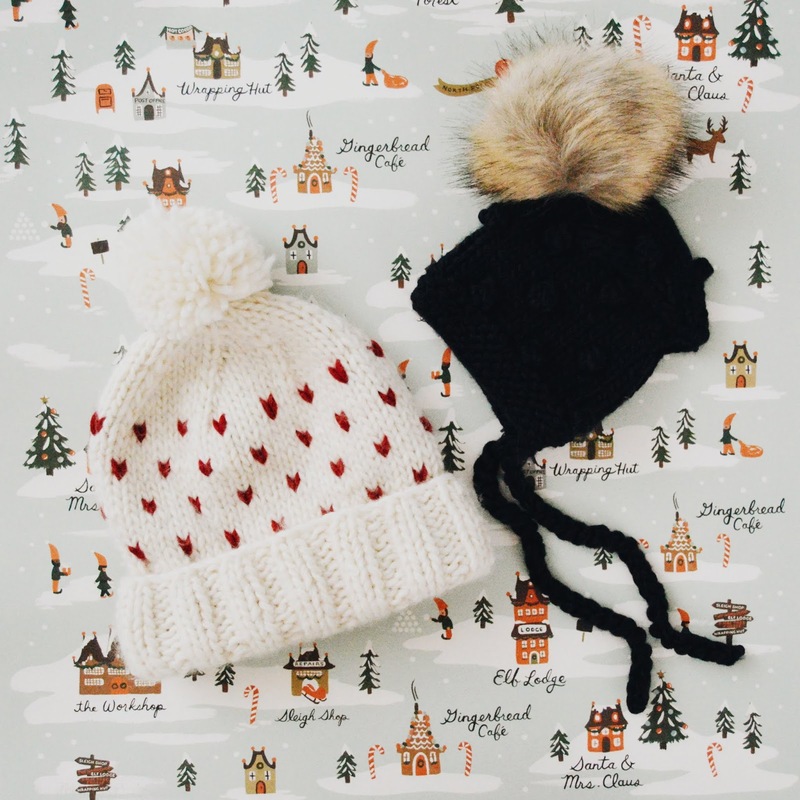 I remembered seeing a cute shop called Blueberry Hill a few years back on Instagram, so I looked them up and was so excited to find out they were still making the absolute cutest hats around! 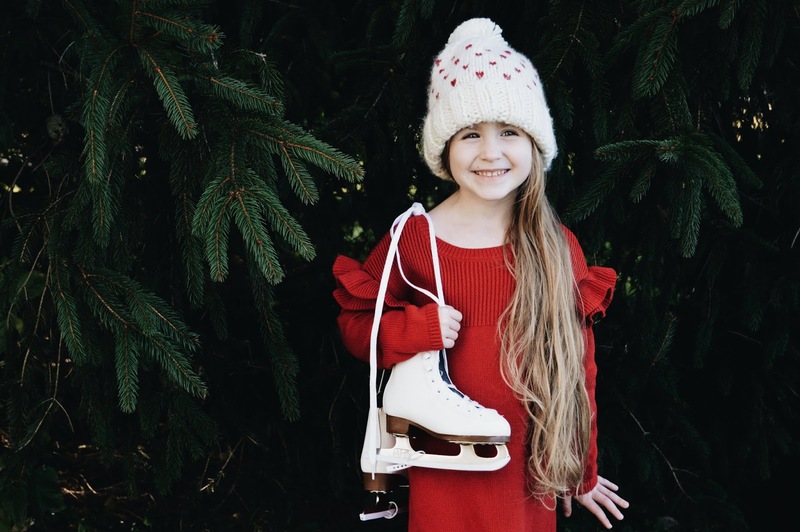 Bella fell in love with this heart design knit pom beanie hat and I think it might be one of the cutest things I've ever seen (and totally makes up for the fact that she doesn't want to wear bonnets anymore haha). New baby of course needed a softer than butter bonnet (at least he won't be able to protest wearing a bonnet haha) and can you even handle how cute this pom knit bonnet is? It is going to look so cute on his tiny little head and most likely he'll be wearing it home from the hospital since it'll be cold out. I have a feeling that a few more Blueberry Hill knit hats are going to make their way into our home before too long, we need them allllll they're all so adorable!